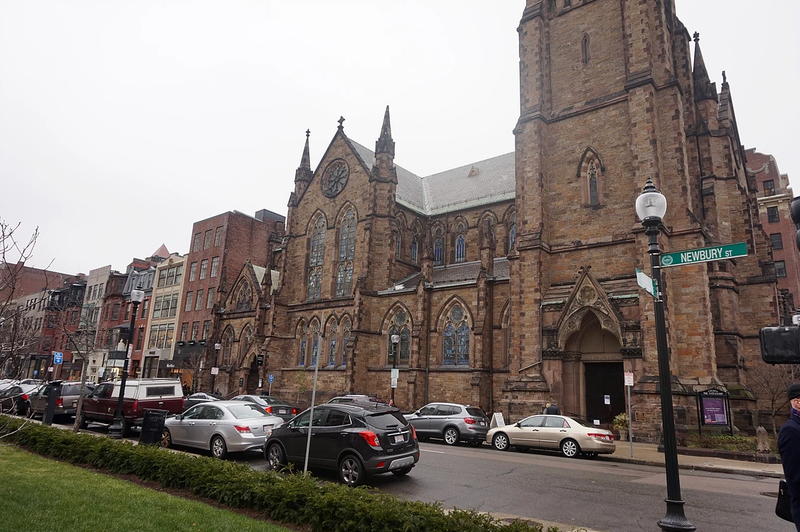 Boston was stunning! The first stop was Newburry Street of course. The beginning of the street has designer shops such as Chanel, Tiffany and Co and Burberry to name a few. 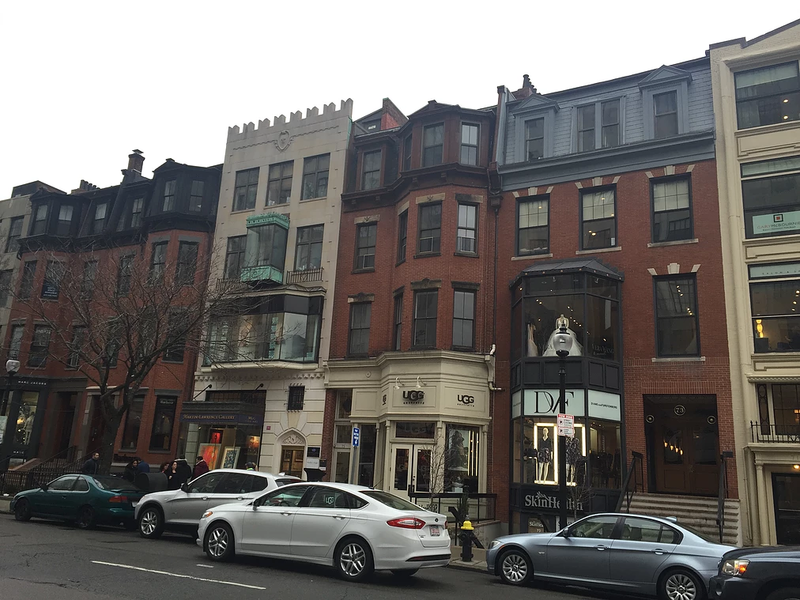 As you walk down the beautiful street, you’ll see all the amazing architecture. These buildings are way different than those on the West Coast. They are all unique with all different colors. It is definitely a sight to see. Further down the street you’ll see more shops such as MAC, H&M, Steve Madden, and Kate Spade. There are also many little restaurants and eateries to grab a quick bite at. Since it was the beginning of January, it was very cold to say the least, but we didn’t let that ruin the experience. 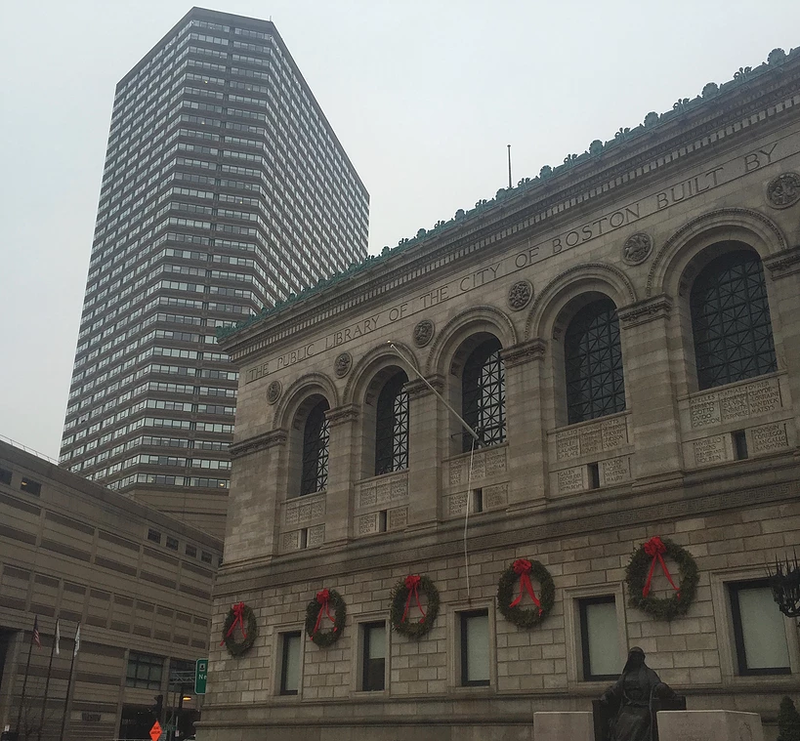 As we continued along Newbury, we turned ourselves around and found ourselves at the Boston Library in the middle of downtown. This building is beautiful outside, but absolutely immaculate inside. 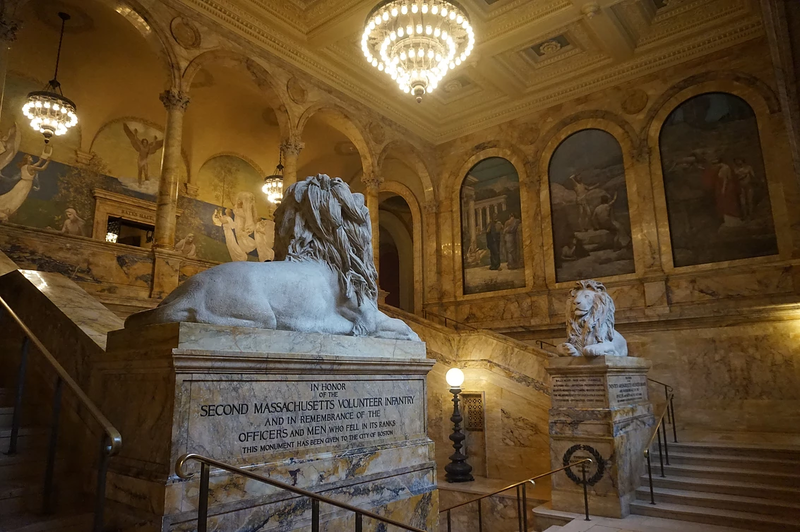 It is covered in marble and has lion statues protecting it, with beautiful murals all throughout the library. If you are looking to get out of the cold and away from the city buzz, this quiet serenity is the perfect place to take a break. 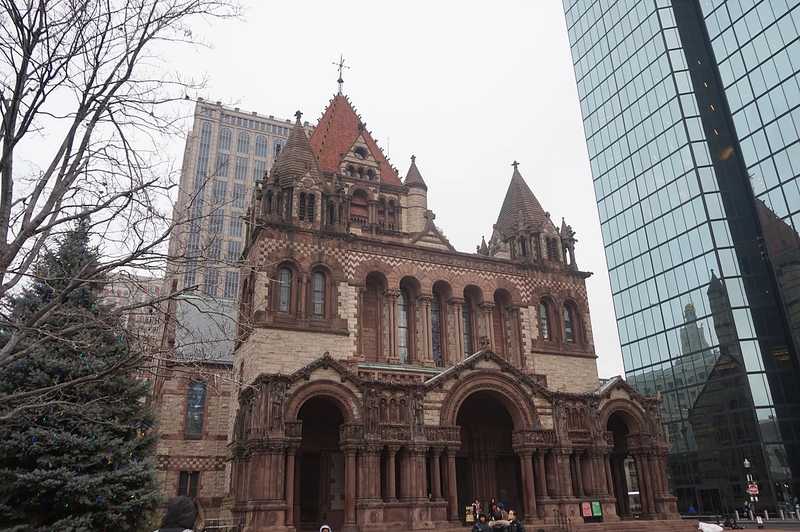 Once we warmed our hands and were ready to get back into the action, we headed to the mall where the Prudential Tower was. 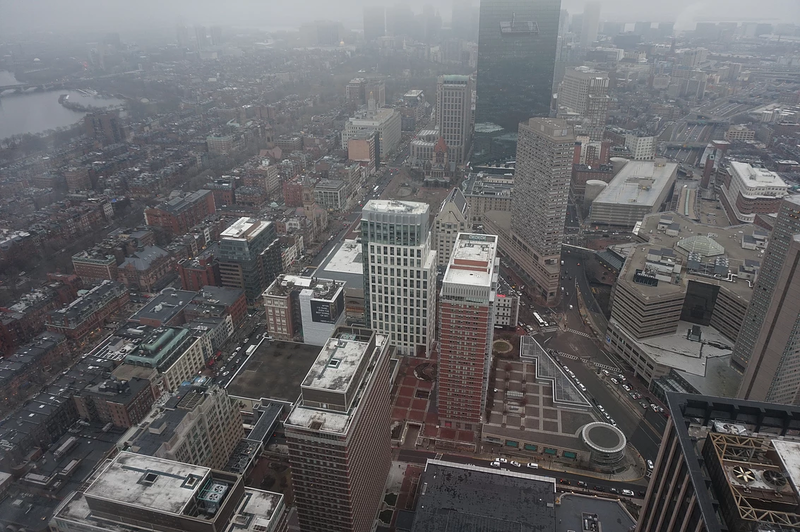 This 360 view shows all of Boston and I couldn’t miss it. The bad news came as soon as we got to the top. 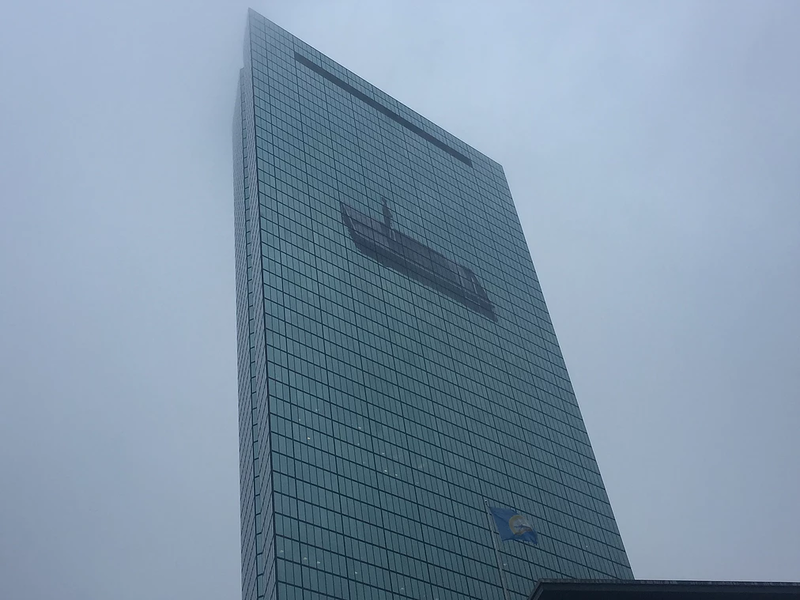 The lady working there explained that since it was such a foggy day, the view would not be as clear. This was a total bummer, but we decided to see the view regardless. It wasn’t perfect, but you could see the majority of Boston, including the John Hancock Tower, the Red Socks Stadium, the river and many more interesting monuments. The John Hancock was especially cool because it had a cool drawing of a man on it. After a lot of shopping at some of my favorites shops in the mall where the tower is, we knew it was almost time to leave this beautiful city and head back to Foxboro. 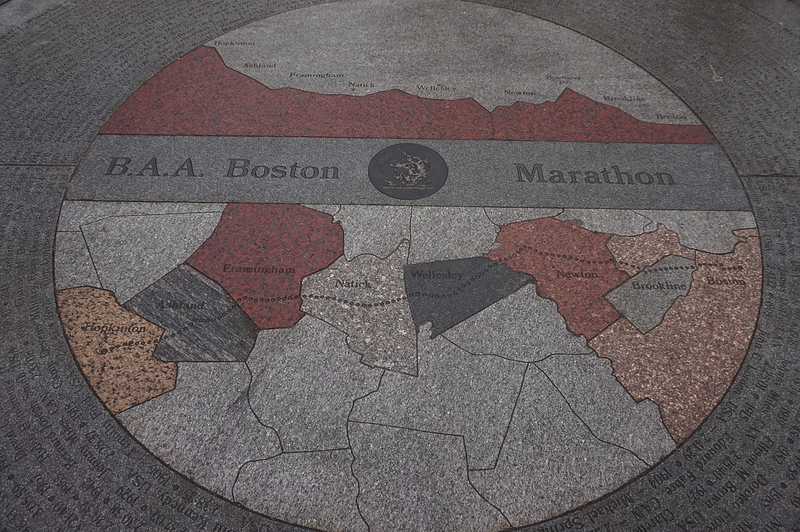 On the walk back to the car we saw the Boston Marathon map in the middle of the quad and it reminded us of the terrible accident that happened just a couple years ago. It’s such a shame that this beautiful city had to go through such a tragedy. However, that map is also a reminder to cherish every moment and be thankful for those around you. A few feet from the marathon map was another beautiful cathedral. These buildings are breathtaking I tell you. 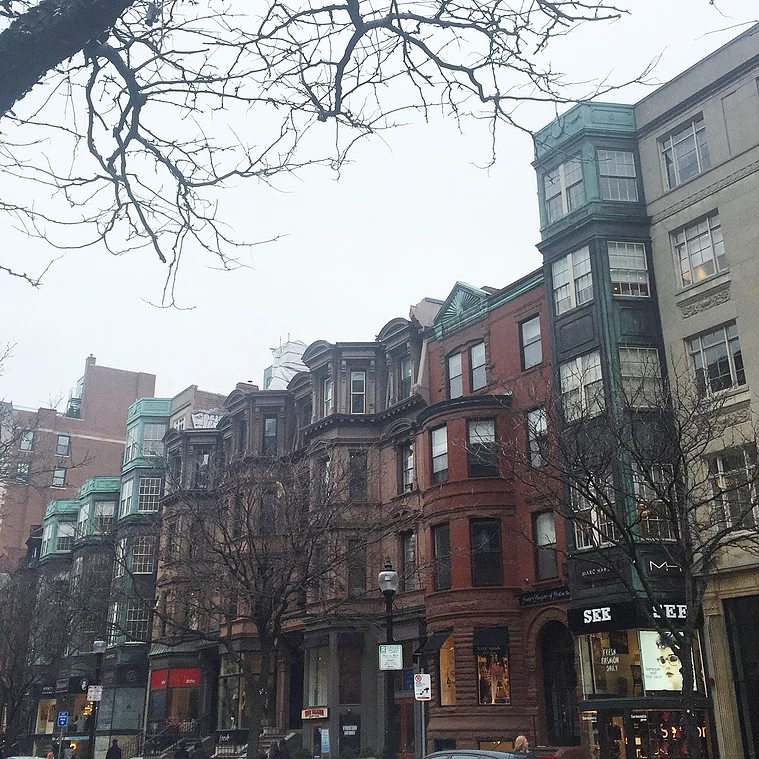 Boston was an adventure and I would recommend it to everyone. You might want to try a visit in the warmer months, but even in the winter, you are sure to have a BLAST!